HA NOI (VNS)— Viet Nam will work closely with Norway to increase bilateral cooperation in a practical and effective manner, Prime Minister Nguyen Tan Dung told Norwegian Crown Prince Haakon Magnus in Ha Noi yesterday. Dung informed the guest about Viet Nam's vision to become an industrialised nation by 2020, while improving the standard of living of its citizens and addressing climate change challenges including rising sea levels. To realise its goals, Viet Nam needs greater cooperation and assistance from the international community, he said, adding that the country seeks greater coordination with Norway, particularly in promoting economic, trade, and investment ties between the two countries. He affirmed Viet Nam's willingness to facilitate Norwegian firms to do long-term business in the country, and requested Norway to create favourable conditions for the Vietnamese community living in the country. He thanked Norway for its official development assistance (ODA) and asked the country for its continued help, focusing on climate change resilience and environmental protection. He expressed his wish that Norway contributes more towards accelerating negotiations on a free trade agreement between Viet Nam and the European Union. Crown Prince Haakon Magnus remarked that diplomatic ties between the two countries have existed for more than 40 years and the countries have enjoyed fruitful cooperation, bringing benefits to both sides. He claimed that his country laid special emphasis on boosting its partnership with Viet Nam and proposed that both sides should further increase their ties in the areas of economics, trade, investment, education, tourism, and culture. The prince avowed to personally promote investment between both countries' businesses. The same day, the crown prince also held talks with Vice President Nguyen Thi Doan, during which Doan stated that Viet Nam has consistently created conducive conditions for Norwegian businesses to help them intensify their presence in Viet Nam, particularly in the fields of ship-building, hydroelectricity, renewable energy, and oil and gas exploitation. 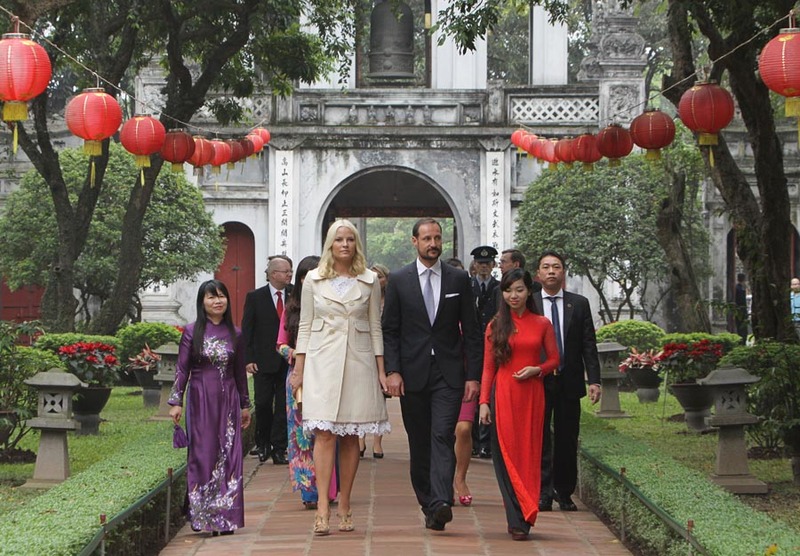 Meanwhile, Haakon expressed his admiration for Viet Nam's socio-economic achievements and its increasing role in the region and the world. He declared that the Norwegian royal family and government were always heedful to boosting Norway's partnership with Viet Nam. The two sides agreed to maintain delegation exchanges and continue working together at international and multi-lateral forums, including at the United Nations, the Asia-Europe Meeting (ASEM), and ASEAN. 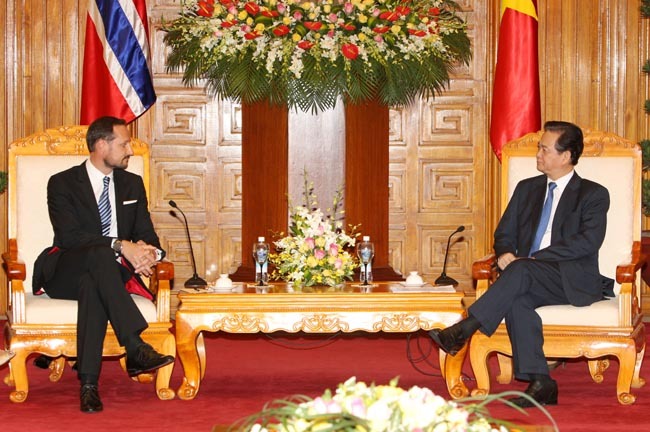 Haakon expressed his gratitude for Viet Nam's support in strengthening Norway's relationship with ASEAN and pushing for the approval of a joint statement on the ASEAN-Norway partnership. In his position as an ambassador in charge of boosting Norway's trade and investment abroad, Crown Prince Haakon promised to back economic ties between his country and Viet Nam. The presence of more than 50 leading businesses accompanying him during this visit reflects the country's determination to expand the economic, trade, and investment ties with Viet Nam, he emphasised.